The theory is simple: Nature doesn’t have a price and humans therefore have no incentive to conserve it. As long as the degradation of natural biodiversity habitat constitutes a negative externality without a monetary (market) value, the destruction of nature is free and its negative effects absent from corporate balance sheets and cost-benefit analyses. Ironically, it was environmentalists advocating to incorporate nature into decision making processes that served as justification for the introduction of cost-benefit analyses in the environmental realm in the US in the 1980s – to “save nature” -following the backlash against social and environmental regulation under President Reagan (Lane, 2015). Ever since, biodiversity banking, habitat trading and similar market-based instruments for the protection of biodiversity have proliferated, and are promoted as progressive solutions to the ongoing loss of species and habitats by corporate social responsibility spokespeople, policy makers, conservation NGOs and environmental economists alike. In order to make corporations pay for the ecosystem services they derive from their natural environment, market-based mechanisms, in the form of mandatory legislation (e.g. planning law) or voluntary instruments (e.g. offset purchasing), are used to price, and thereby internalise the previously external effects of their business operations. This is based on the idea that absent and imperfect markets are a prevalent cause of biodiversity loss (OECD, 1999, in Falk, 2008: 35) and that “giving people secure property rights on biodiversity means allowing them to reap the private benefits from using it” (Ibid: 26). A growing number of scholars have criticised this approach to nature conservation as “selling nature to save it” (McAfee, 1999) in a now rather extensive body of work on “neoliberal conservation” (e.g. Büscher et al., 2012), “neoliberalisation of nature” and “neoliberal nature(s)” (e.g. Castree, 2008a; 2008b). Critics have pointed out the problematic assumptions on which these instruments are built (beliefs in the fungibility and exchangeability of biodiversity, the disregard for the interconnectedness of habitats and ecosystem functions, as well as social values and effects for local communities, among others). What tends to be ignored in many of these accounts, however, is that in practice, these market-based instruments may play out rather differently from the dictates of neoclassical theory and neoliberal ideology. Indeed, they may not necessarily resemble the (free-)market instruments that economists and environmental policy makers envisage, based on assumptions of cost-efficiency, competition and internalisation of externalities. Using example of the Malua BioBank in Sabah, Malaysia, I will illustrate how the creation of the BioBank differs from the ideal type biodiversity market. The Malua BioBank was set up in 2008 as the first tropical conservation bank in Sabah, Malaysia, where corporations and individuals can compensate for their destructive biodiversity impact by purchasing Biodiversity Conservation Certificates (BCCs) that represent 100 square meters of rehabilitated and protected orang-utan habitat in the Malua Forest Reserve (Maluabank, n.d.). Malaysia is one of the world’s leading palm oil exporters, and has lost much of its primary forest to deforestation and forest conversion. The BioBank was set up to protect habitat for the last remaining orang-utans on Borneo. When Peter Bakker, president of the World Business Council on Sustainable Development, emphasised dramatically at the BBOP conference on ‘No net loss of biodiversity and beyond’ in 2014 that “Business as usual is dead”, this led to an appeal to government representatives emphasising “the need for standards on natural capital accounting that provide a framework for offset mechanisms, to show that conserving ecosystems and biodiversity can promote economic growth” (Summary of conference discussions, 2014: 4). At the conference, biodiversity offsets were advocated as tools for countries to help deliver on targets set by the Convention of Biological Diversity (CBD), and to “build the cost of biodiversity impacts into economic decisions” (Madsen et al., 2010: i). Based on arguments supporting the monetary valuation of ecosystem services (the services humans derive from nature) and natural capital, biodiversity markets, according to the organisers, constitute reasons for optimism to be able to – after all – end the biodiversity crisis that humanity is facing. However, even Kerry ten Kate, one of the biggest advocates of biodiversity offsetting, and colleagues, in a publication for IUCN (The World Conservation Union) and Insight Investment, make clear that in practice, rather than reconciling conservation and economic growth agendas, the business case that has been made to involve corporations in biodiversity markets rests on the promise to “strengthen companies’ license to operate by encouraging regulators to grant permission for new operations and by securing the support of local communities and non-governmental organisations” and that offsets constitute a “cost effective means to demonstrate that society should continue to trust them with access to the land and sea needed for their operations” (ten Kate et al., 2004: 6). Or, as critics would warn, they may allow for greenwashing and the issuing of planning permits which allow for further developments that would have otherwise not been granted (civil society representatives, personal communication). The analytical focus on neoliberal theory and neoclassical economics to explain the setup of biodiversity markets may thus not capture the political economy behind them, and lead researchers to adopt a particular view of neoliberalisation as corporate-driven hegemonic project, and the unfettered expansion of an inherent, almost natural market logic, while ignoring the very real effects of neoliberalisation that do not correspond to these theories. The Malua case, in contrast, shows that to really understand processes of marketisation and financialisation on the ground we cannot return to theory, or the transnational discourses around it – though they may well be used to justify instances of marketisation. The BioBank was set up by the Sabah forestry department in cooperation with an Australian investment manager and a Malaysian-American nongovernmental organisation. While known for its innovative approaches to conservation, the state government has been widely criticised for (illegal) timber extraction, premature (re-)logging and forest conversion for timber and palm oil revenues, as well as reclassification of protected areas as production forests to allow for additional logging (SarawakReport, 2012a), and sacrificing orang-utan habitat for export-oriented palm oil agriculture. The state is viewed as too lax in regards to enforcement of regulation on air and water pollution vis-à-vis palm oil corporations, infringement on indigenous rights, and abuse and exploitation of (foreign) workers (interviews). The Malua BioBank was envisaged as a for-profit business model “to translate forest conservation into a tradeable product so that biodiversity conservation could compete with other land uses on a commercial basis through the selling of Biodiversity Conservation Certificates” (Sunjoto et al., n.d.: 1). Investment into nature was supposed to yield “competitive returns” to investors (Ibid.). Yet, rather than internalising the multiple environmental (and social) externalities of the local palm oil and timber industries, from the beginning, the project was promoted more as a CSR opportunity, to improve the corporate image of any company that purchased BCCs. Credits were and are being marketed and promoted internationally. Indeed, one of the major interested investors has been Shell International, although they pulled out during the 2008 financial crisis. The transnational discourse around the value of ecosystem services, closely connected to narratives around REDD preparation projects and carbon credits, was frequently invoked to legitimise the BioBank. Similarly, the financial framework used to calculate the monetary benefits of protecting nature is cited to justify and raise acceptance for the instrument as well as the (nongovernmental and other) organisations supporting it – but not to explain its setup (interviews). Similarly, it is used to please funding agencies involved in conservation activities, and legitimate the BioBank both internally (within the organisations involved) and externally (towards the international conservation and business community). Yet, this narrative is resisted, instrumentalised and modified in rather interesting ways by actors on the ground. As different individuals involved in the Bank reiterated: “[The forestry director] always says: Selling love”; “Selling love. Love is not enough… Love for nature, for the environment”; “We were told for love for sale” (interviews). It is made clear, however, that this serves to “get things done”, especially by local conservation organisations, and to attract funding – be it for (previous) REDD preparation projects, PES or the BioBank. In order to understand the setup of the BioBank, however, one needs to move beyond these discourses and examine more closely the political economy of palm oil and timber of Sabah, the legal structures and (institutionalised) power relations in which it is embedded. The state government is structurally dependent on palm oil agriculture, its 7.5% sales tax represents 40-50% of its GDP (Pang, 2011), and palm oil has become transnationalised capital, supported by international financial and UN organisations such as the World Bank and the Food and Agriculture Organisation (Tauli-Corpuz and Tamang, 2007). Additionally, Sabah’s history is characterised by state cronyism and patron client politics. Since colonial times, the timber industry has entertained close relationships with the government; it is based on networks of political patrons granting timber concessions to key individuals in return for political support (Dauvergne, 1997). Million-dollar scandals around illegal timber concessions involving high-level state official continue to be exposed (e.g. SarawakReport 2012b, Butler 2012). At the same time, the timber business is declining in importance, as many areas of natural forest have been converted into palm oil plantations, and the forestry department is losing a significant source of income. With the demise of the industry, the formerly very powerful and rich department has been in need of new ways to secure finance, (international) legitimacy and power – while being under international pressure to conserve orang-utan habitat. Increasing taxation, regulating, or even enforcing and implementing existing legislation to stop further palm oil expansion, is politically difficult or even impossible (interviews). It is these specific historical circumstances, structural dependences as well as individual relationships of the forestry department with the Malaysian-American NGO that proposed the setup of the BioBank, as well as the particular individuals involved in the forestry department who are known for their interest in progressive approaches to conservation for financial and image reasons, that made the creation of the BioBank so attractive. Historical power relationships were invoked, e.g. when the forestry director phoned up timber corporations and asked them to purchase conservation certificates before the festive launch of the bank, in return for a laxer handling of environmental regulations, as speculated among civil society representatives, and a celebratory handshake at the festive launch (interviews). It was therefore pragmatic calculation, not ideology-driven political action or market expansion that led to the setup of the bank. It is only when considering these historical circumstances, interests, and political economic conditions on the ground that one can understand biobanking in Sabah. The BioBank did not result in the free-market instrument that theory would predict. Only on the discursive level (e.g. in the narratives around the BioBank) have power and control over Sabah’s biodiversity been transferred to corporations and other market actors, externalities internalised, and nature been given a price by (invisible) market forces. It was the forestry department that not only priced conservation certificates, created demand (directly requesting corporations to purchase BCCs) and supply of these certificates, but with the BioBank established a new channel through which it can govern and discipline nature, local communities and corporations (Brock, forthcoming). The department has been empowered financially and non-financially, and could exercise its control in new ways – through workshops enrolling indigenous communities living close to the BioBank, by disciplining them through restricting access to fishing grounds, and by employing additional armed rangers and forestry officials patrolling the borders of the bank. It helped regain control over its natural resource management, currently mainly controlled by corporations connected to the state government, not the forestry department, and strengthen its image as progressive, development friendly, yet environmentalist – abroad and at home. At the same time, the previously unproductive and ungovernable land – that could neither be exploited nor used ‘productively’ in any other way – has been rendered governable and productive (see Brock, forthcoming). In his article on “Neoliberalism and the American state”, Martijn Konings has argued that “neoliberalism has involved the construction of control that serve as sources of power for the state and those who enjoy privileged access or relations to its organizations mechanisms – capacities that are built on the narrowing elbow room available to subordinate actors” (2010: 743) – here, local communities and more radical civil society organisations who have been strategically marginalised by the state. This institutional expansion represents a different mode of governance through the market, rather than governance by the market. As academics, but also as political activists, it can be tempting to overuse terms such as neoliberalism, financialisation or neoliberalisation of nature, to become conceptually lazy, and to conflate neoliberal theory/neoclassical economics, free-market ideology and “actually existing neoliberalism[s]” (Brenner and Theodore, 2002), or neoliberal practices and their consequences. As Brenner et al. argue, the concept of neoliberalism is “inconsistently defined, empirically imprecise and frequently contested” (2010: 182). Despite recognition that theory and practice may differ significantly, we have tended to resort back to ideas of neoliberalism as ideology to explain actually occurring processes on the ground. Explaining these “away” simply with reference to neoliberalism or financialisation is not only analytically useless (and somewhat tautological), but also politically problematic; how are we to question and resist these development if they are seen as naturally occurring, or taken as granted, without paying attention to the specific historical junctures in which they occur, and without analysing the agency involved? The Malua case study shows that analyses of neoliberalisation on the ground can teach us about the particular ways in which neoliberalism plays out in managing societies and environment(s), rather than simply leading to less governmental control. This is not to dismiss the importance of critically analysing corporate power and market rule, but to draw attention, once again, to the crucial role of the state not only in the setup of markets and neoliberal practices, but also the way these have transformed and enhanced state power. BBOP (Business and Biodiversity Offsets Programme) is an international collaboration of corporations, financial institutions, government agencies and civil society organisations promoting biodiversity offsetting. The forestry director has not only been invited to speak at international offsetting conferences and meetings, but works hard “to promote an [international] image of Sabah where deforestation is ‘slowing’ and precious areas are being rescued from logging” (SarawakReport, 2012a). He held a keynote address at the WWF Global Forest Trade Network Anniversary Forum in 2011, promoting “green Sabah” and praising its sustainable forest management upon invitation by the Prince of Wales, himself a known market environmentalists who promotes green investments or “making ecosystem services pay so that they attract corporate investors” (Prince of Wales, 2011). Brenner, N., Peck, J., Theodore, N., 2010. Variegated neoliberalization: geographies, modalities, pathways. Global Networks 10 (2): 182-222. Brenner, N., Theodore, N., 2002. Cities and the geographies of “actually existing neoliberalism”. Antipode 34 (3), 349-379. Büscher, B., Sullivan, S., Neves, K., Igoe, J., Brockington, D., 2012. Towards a Synthesized Critique of Neoliberal Biodiversity Conservation. Capitalism Nature Socialism 23 (2), 4-30. Butler, R. A., 2012. Industrial logging leaves a poor legacy in Borneo’s rainforests. Mongabay. (accessed 18.07.2015). Castree, N., 2008b. Neoliberalising nature: the logics of deregulation and Reregulation. Environment and Planning A, 40 (1), 131-152. Dauvergne, P., 1997. 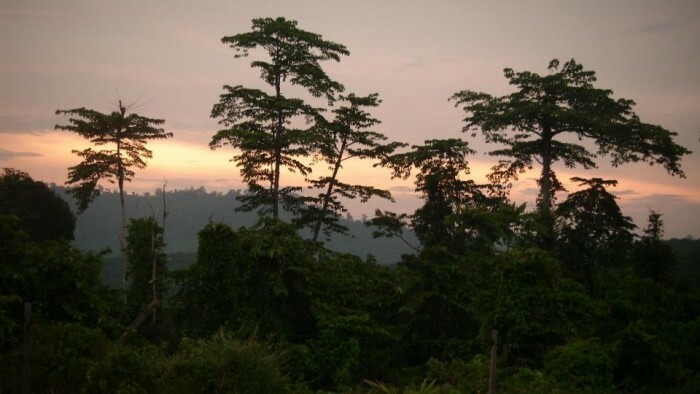 Shadows in the Forest: Japan and the Politics of Timber in Southeast Asia. MIT Press, Cambridge, MA. Falk, T., 2008. Communal Farmers’ Natural Resource Use and Biodiversity Preservation – A New Institutional Economic Analysis from Case Studies in Namibia and South Africa. Cuvillier Verlag Göttingen. Göttingen, Germany. Konings, M., 2010. Neoliberalism and the American State. Critical Sociology 36 (5), 741-765. Lane, R., 2015. The nature of growth: The postwar history of the economy, energy and the environment. PhD Thesis, University of Sussex. Madsen, B., Carroll, N., Moore Brands, K., 2010. State of Biodiversity Markets Report: Offset and Compensation Programs Worldwide. Forest Trends, Washington, DC. (accessed 14.07.2015). Maluabank, n.d. How does it work? Pang, T. W., 2011. An important contributor: OBG talks to Pang Teck Wai, CEO, Palm Oil Industrial Cluster (POIC) Sabah. In: The Report: Sabah 2011. Oxford Business Group. Prince of Wales, 2011. A speech by HRH The Prince of Wales to the WWF/ Global Forest Trade Network. (accessed 18.07.2015). SarawakReport, 2012a. UK Press Reports “Diplomatic Row” Over William & Kate’s Sabah Visit. Kuching, Malaysia. (accessed 14.03.2015). SarawakReport, 2012b. Sabah’s Smoking Gun! Bank Statements Show That Musa Aman’s Sons Accessed Dirty Money. Kuching, Malaysia. (accessed 14.03.2015). Summary of conference discussions, 2014. To No Net Loss of Biodiversity and Beyond. 3-4 June 2014. Forest Trends, BBOP, ZSL, DEFRA. Sunjoto, I. P., Radin, A. M., Lagan, P., n.d. Malua Wildlife Habitat Conservation Bank – An Innovative Approach for Conservation in Sabah. (accessed 18.07.2015). Tauli-Corpuz, V., Tamang, P., 2007. Oil Palm and Other Commercial Tree Plantations, Monocropping: Impacts on Indigenous Peoples’ Land Tenure and Resource Management Systems and Livelihoods. E/C.19/2007/CRP.6. Permanent Forum on Indigenous Issues, Sixth session. New York. Ten Kate, K., Bishop, J., Bayon, R., 2004. Biodiversity offsets: Views, experience, and the business case. IUCN and Insight Investment, Gland, Cambridge, London. Andrea Brock is a PhD Candidate in International Relations, at the Centre for Global Political Economy, University of Sussex. Her research explores the political economy of biodiversity markets; the agency behind processes of commodification, marketisation and financialisation of nature, especially in relation to the development of the No Net Loss policy in the European Union.